Consumer NZ has given councils a rev-up about the lack of options for disposing of hazardous household chemicals and for shunting people to a charity which was set up to handle agriculture waste. To put pressure on councils to do a better job, the consumer watchdog has compiled a nationwide survey of the facilities councils provide to safely dispose of chemicals ranging from cleaning products to weedkillers. An interactive function allows people to check up and compare their council and others. Masterton, Carterton, South Wairarapa and Tararua district councils all come up with “accepts none” on the tool and the alternative for three of them is the Agrecovery charity. The alternative for South Wairarapa is “neighbouring council Hutt City”. Consumer NZ chief executive Sue Chetwin said councils needed to do more. Toxic, corrosive, flammable and explosive products carry warnings not to throw them out with the general rubbish, but don’t tell you what to do with them instead, she said. Of the 67 councils Consumer NZ surveyed, two-thirds accept the four categories of rubbish year-round at landfills, a recycle centre or a waste “transfer station” – the processing site before the rubbish goes to a dump. non-commercial quantities, free of charge. This waste must be separated from landfill rubbish and residents should let operators in the kiosk know they have hazardous waste to dump. “Following on from Consumer NZ’s work we’ve looked at the information we have available, including on our website. “We will be making improvements so residents are aware they can dispose of domestic volumes of hazardous waste free of charge at the Nursery Road transfer station. 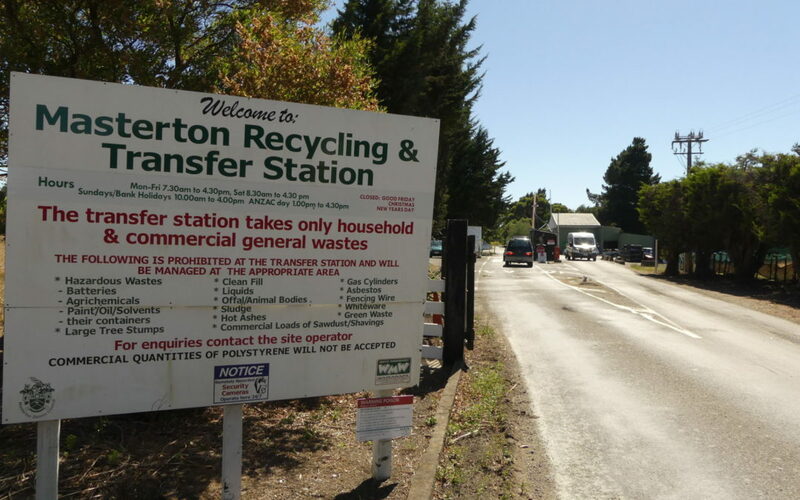 A spokeswoman for Carterton District Council said the council’s website provides sufficient information about hazardous waste disposal. Consumer NZ says Agrecovery is a charity scheme which is really for agrichemicals such as herbicides and pesticides but not solvents and varnish. Chetwin says councils could also do a better job of providing online information for residents needing to dispose of hazardous chemicals. To view the Consumer guide, go to consumer.org.nz, and type “hazardous waste” into the search field.